I am sure many people will be happy with this. 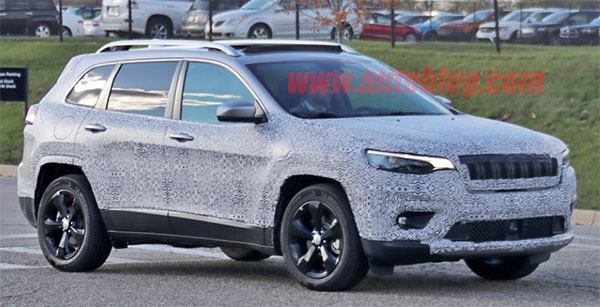 The revised Cherokee for 2019 will loose its "kinda weird" front end design. But I had gotten used to it. And thought it gave the little Jeep a bit of personality. But like the 2019 Ram truck, personality is out at Fiat. For more pictures of the 2019 Cherokee, just head over HERE. I can't beleive it took 5 years to get to this. I got used to it, but was never a fan of the wannabe Citroen. Luckily, sales were still strong! However, you are right that it lost "personality" as this, the GC, and Compass will have identical front ends. Count me among those who are happy with this. Thank goodness they are getting rid of the stupid split light "bug eyed" look. Now this looks like it should have from the start. The "bug eyed" thing was never a good look on this or any other car/suv that uses it. I hope more manufacturers with vehicles that have this look go in this direction and get rid of it with a refresh or redesign. With any luck this horrible design can go into the dustbin of history. After 5 years they are just giving us a refreshed front and rear design that fixes the bad original design. That's all well and good, but this isn't the ground up redesign many were looking for. Sure it will look better now, but it will still have the same cramped interior and still drive identically. Where's the all new model?? Is this going to wither on the vine and be around for over 8-9 years like the current Grand Cherokee will be before it is replaced with a all new model??? The Cherokee's front end (which looked only slightly better on the Trailhawk) was made worse by its long front overhand, which didn't help at all. As for Jeep losing its personality, that happened when Fiat decided Jeep was going to cover for Chrysler and Dodge's lack of new crossovers. 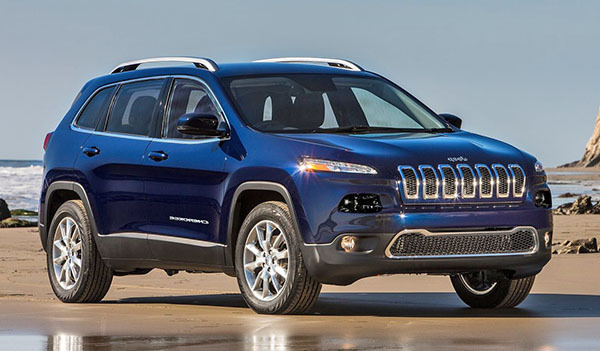 In fact the Cherokee, Compass and Renegade would make better Chrysler and Dodges than they do Jeeps. The only surprise here is that it took so many years for them to fix the mess they started with. An unattractive, split-focus face that looks as bizarre now as the day it was released. The profile was aways nice, so at least there will be less shock when walking from the side of the car to the front. Gotta agree with Vince on this one. Would never buy a Jeep, especially the way FCA has screwed the entire line up, but the Cherokee's front end was at least different. This one is...yawn...zzzzzzzzz.